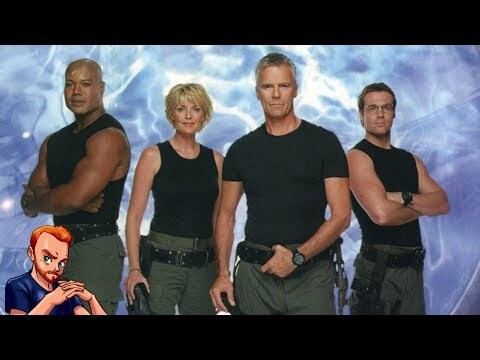 Stargate SG-1 | we are the warriors. Which season was your favourite? What's your kegemaran SG1 episode? Which is your favourite SG1 team member? Stargate SG-1, Season 8, Episode 14, "Full Alert," at 12 minutes: What is the complete text of the road sign "Bubba's Ribs n' _____, Voted #1 ____ ____ ____ ____?" Is a clear image available? Since Vala was originally a goould how did she have her symbiote removed without needing tretonin? In what episode do they reference files on Hathor? High quality graphics and an amazing new story feature in the new Stargate SG-1 interactive adventure, coming soon for tablet and mobile devices. Reunite with your kegemaran characters from SG-1. Play through an entirely new interactive adventure series designed to bring back all of your Stargate memories. Look for Episode 1 in March 2013 for iOS and Android. Stargate: Special Forces is a german Fanfilmproject in "Brandenburg", which has an good financial base. Stargate SG-1 Unleashed that is coming on March 2013 is a 100% new story, written sejak Sally Malcolm is the penulis several novels in the Stargate universe – Stargate SG-1: A Matter of Honor, Stargate SG-1: The Cost of Honor, Stargate Atlantis: Rising (novelisation). She has also written four audio dramas of Stargate SG-1. a comment was made to the poll: Which is your favourite SG1 team member? a question telah ditambah: Stargate SG-1, Season 8, Episode 14, "Full Alert," at 12 minutes: What is the complete text of the road sign "Bubba's Ribs n' _____, Voted #1 ____ ____ ____ ____?" Is a clear image available? an answer was added to this question: Does anyone like Skaara??? In the episode Fragile Balance, when Teal'c asks Daniel to give an example of stranger occurrences, which of these did he not name? I'm the biggest Stargate fan!